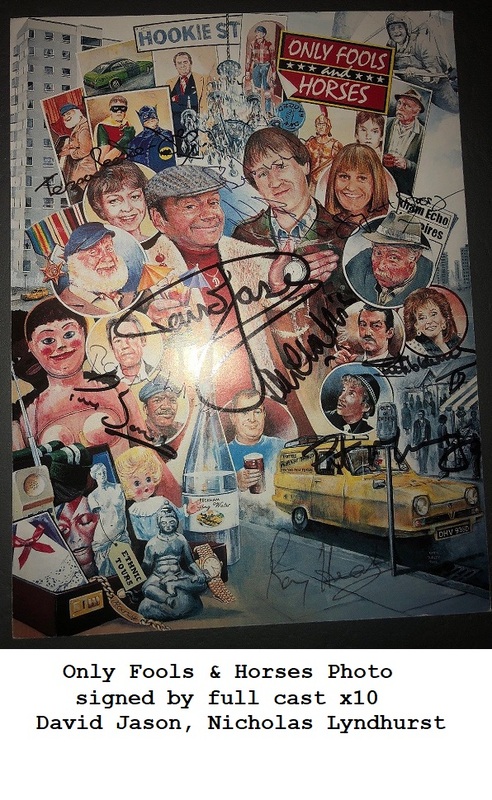 Fantastic collection from this excellent 1980's BBC comedy TV series. 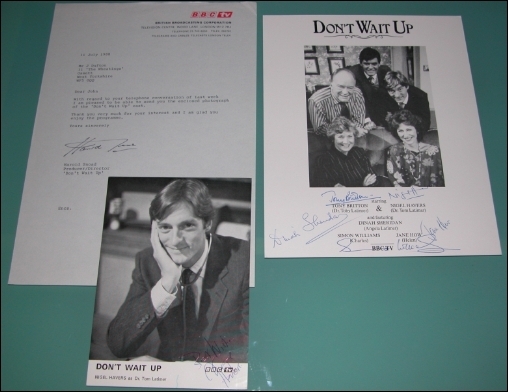 Collection consists of a cast signed photo, a signed letter from Harold Snoad (Producer), and a Nigel Havers signed photo. On the reverse of the photo, is a short story about Nigel Havers, handwritten by his mother, about how he was a little terror when a small boy, and he burned their shed down ! A total of 7 signatures , and a stunning collection.